Employees who involved in scheduled waste management and implementation. 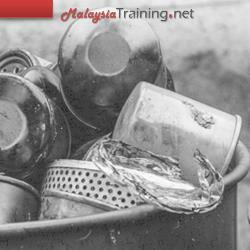 In Malaysia, it is mandatory under the Environmental Quality (Scheduled Waste) Regulations 2005, that all waste generator, transporter and receiver of scheduled waste to be well aware of the legal requirements so as to provide a safe and healthy work environment in relation to scheduled waste management. This course is design to help you understand and implement the effective scheduled waste management program in your plant. It addresses the identification and effective management of scheduled waste. Understand the legal requirement of scheduled waste identification, storage, labeling, handling and disposal. How to use the MSDS to avoid situations, which might result in a hazardous exposure.